You must start with an idea of what needs to be stored in the available space. If everything is cluttered, you will not maximize on the space and your efforts will be counterproductive. De-cluttering is the first step as it helps determine what to store and what to throw out. If you have tools in the room, put them all in one corner and do the same for other items of similar nature. Using cabinets is the most creative idea in basement storage. These take little space and help you to optimize on the floor storage. Items such as books and small tools will easily fit in the cabinets. Any precious items should also go into the cabinets but you must avoid storing weighty items to avoid injuries. This is one of the most overlooked aspects when it comes to utilizing the basement. It is no wonder that the authorities emphasize basement safety especially in low-lying levels that are prone to floods. You need to ensure the power utilities are well insulated while the furnace must be strategically located away from flammable items. One of the greatest risks in your basement is high humidity. Moisture ruins your precious items especially books and clothing. This can also lead to mold growth which can cause respiratory health complications. A dehumidifier helps to keep off excess moisture and the dry indoors is thus devoid of mold or mildew. The way you utilize the floor space determines how effective your storage will be. If you want to utilize the space for a playroom for instance, mark out the area on the floor. On the other hand, mark the section to be occupied by utilities such as the freezer, furnace, washer and any such appliances. Any clear wall space should be utilized to hang items that are on the floor. Some tools can also be safely stored in this manner to get more floor space. Wire racks can also be used to store items that are regularly needed. Well, utilizing your basement need not be an unachievable dream. 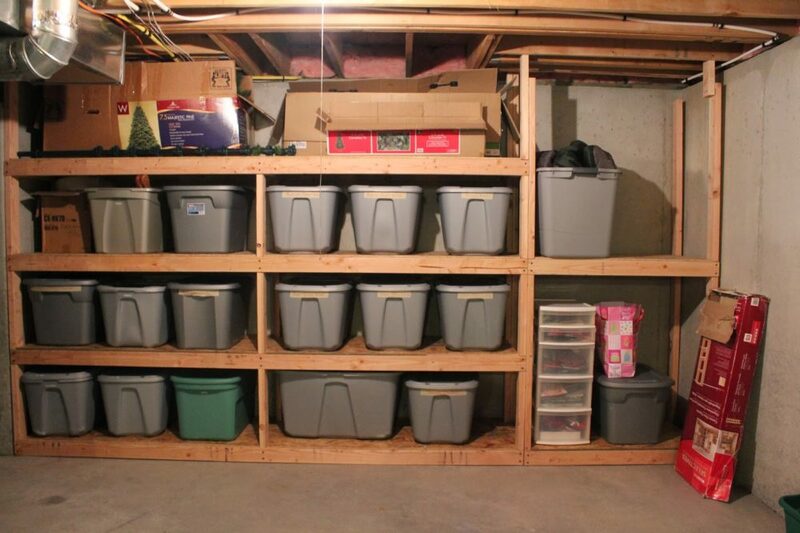 You just have to be organized to make your basement storage dream a reality. Whether you want to have a game room, a library or a study, it is still possible to store many items in the same room.